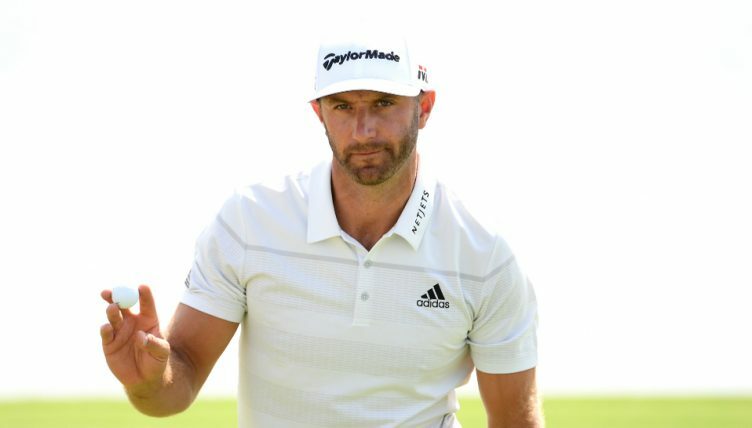 Dustin Johnson grabbed a three-shot lead at the Saudi International on Friday after firing a spectacular nine-under-par 61 in the second round. The World No 3 produced a flawless bogey-free round at Royal Greens & Country Club featuring seven birdies and an eagle to lift his total to 11 under par. His 61 was the lowest round of his professional career. Starting on the back nine, it didn’t take Johnson long to start carving up the course, kicking things off with back-to-back birdies at the 10th and 11th before further gains at the 15th and 18th saw him move to six under. A 20-foot putt for birdie at the second saw him gain another stroke and his impressive form on the greens continued at the par-5 fourth, where he sank a thirty-footer for eagle. Further back-to-back birdies at the sixth and seventh saw Johnson take a stranglehold at the top in King Abdullah Economic City. The American lies three strokes clear of South African Zander Lombard and China’s Li Haotong, who had rounds of 67 and 65 respectively on Friday. Li has wasted little time in shrugging off his controversial two-shot penalty at last week’s Dubai Desert Classic, mixing six birdies and a solitary bogey to rise 14 places up the leaderboard and into a share of second place. Lombard, meanwhile, looked on course to be closer to Johnson’s lead before he bogeyed the 18th to finish three back. Italian Fabrizio Zanotti (66) and Scott Hend (63) of Australia share fourth place on seven under, while Alexander Levy, Richard Sterne, Ryan Fox and Chris Paisley are tied for sixth a further shot back. Last week’s winner in Dubai Bryson DeChambeau shot a second successive 68 to finish the day on four under, seven back, while World No 2 Brooks Koepka lies on one under par after rounds of 69 and 70. DeChambeau’s 68 was notable because it was his 24th straight round under par – the first time a player has achieved such a streak in 16 years. It was not a good week for World No 1 Justin Rose. The Englishman, fresh from his impressive victory at Torrey Pines, missed the cut after rounds of 70 and 72 left him too far back. It’s only his second missed cut in 36 events dating back to August 2017.